Peter Moore takes a look at the Remington 700 Long Range in 300 Win Mag and a Howa Highland rifle while Graham Allen looks at the Walther LGV Master Pro. There are additional tests for Breda, Shooterking and Jack Pyke. 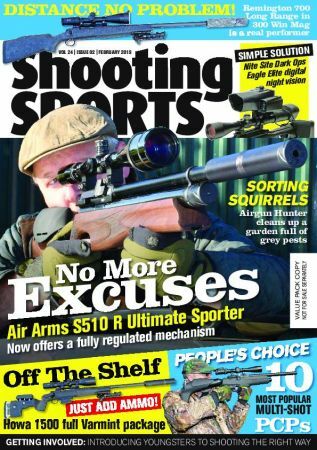 There are reviews of the Air Arms S510 Ultimate Sporter Regulated and the Diana 56 TH Target hunter plus all the latest news and much much more!